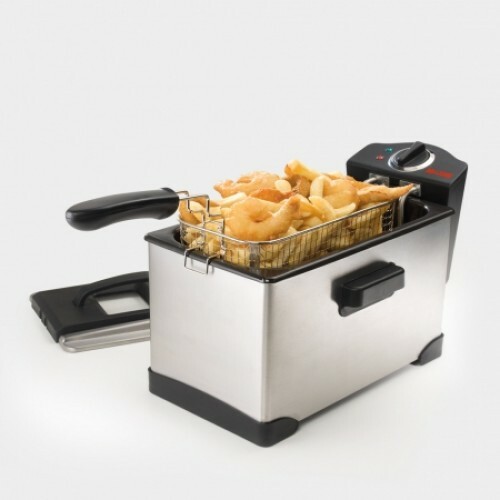 Fry your favourite crispy food in minutes! Who doesn't like a bit or two of tasty fried food? Whether its chips, schnitzel, hash browns or crispy fried chicken - you can fry it all with the Maxim Deep Fryer. Featuring a large 3.5 litre capacity, you can deep fry a delicious meal for the entire family. 1800 Watt power ensuring your food will be cooked to perfection. Non stick removable interior for easy cleaning. Temperature setting to 190 degree celcius. Lid and pan dishwasher safe. Dimensions 53 x 44 x 29 cm.